If you are a new blogger and looking to get your blog moving in the right direction, this post is for you. It took me quite awhile to take my blog from hobby to business and there are lots of things I wish I had come across sooner than I did. I want to give you the heads up on some absolutely essential blogger tools that you need to get asap. 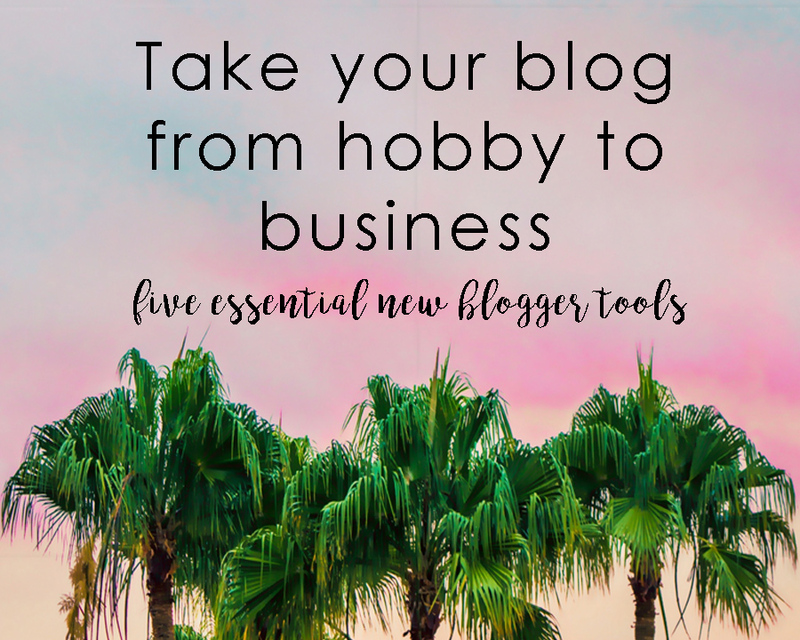 These tools will help make your posts focused, keep tabs on your blog stats and give your blog a social upperhand. These five tools are what keep my blog going and I think you’ll find them insanely useful as well! Yoast SEO– WordPress Plugin- Basically, automate your seo game. Seo is cumbersome and there are so many theories on how to get the correct seo parameters into each post. Yoast provides a really simple checklist and literally gives you a greenlight if your post is good to go from an SEO perspective. This is a must-have. Yoast checks things like length of your post, keyword density, meta description and much more. This tool is by far my favorite wordpress plugin. It works so well and gives so many pointers for each blog post, it’s almost like having an editor. Google Adwords– Keyword Planner- The google adwords keyword planner is an essential tool. Why? This tool tells you everything people are searching based on a simple keyword search. Every blogger should utilize this tool to focus your posts into content people are actually searching for. Hypothetically, you search “Palm Trees”, keyword planner will return exact and related matches that people are actually searching for on google and the volume of searches and competition level of each particular keyword. You’ll want to focus your blog posts around words that have high traffic volume and low competition. Bonus: I learned a work around from a blogging course I completed so that you don’t have to fully sign up with a credit card. (It worked for me but I’m not sure it still works so give it a try) You only get one shot at this so if you hit next too quickly you will accidentally go through a more rigorous setup in which you need to put in credit information. During sign-up, what you’re going to look out for is a place where you can “skip the guided tour” and go straight to using adwords. This should allow you access to the keyword planner, the main tool you need from adwords. Please comment if this still works or doesn’t. Analytics Bar– Desktop App- This is my newest addition to my blogging experience and I am in LOVE with it. When you’re building a brand and a following what are you constantly doing? Checking your stats to see how your content is doing. We normally do this by checking stats on our website dashboard or opening google analytics but what I love about Analytics Bar is it’s analytic information right in your taskbar. This desktop app shows live analytics, pulled directly from google analytics and updated constantly. You can literally see people visiting your site and then check out where they came from. Since the app fits right in your taskbar, it takes up zero workspace which is so helpful because when I’m working I’ve got tons of things open. I usually have to make a whole separate trip back to my site or google to check my analytics. This tool streamlines all of that so it’s just obvious, just like checking the time, I can look over and see how my site is doing. Boardbooster– Pinning Automated- I first learned about Boardbooster from a blogging course I took a few years back. Boardbooster automates pinning on pinterest so that you don’t have to think about the high traffic times to make pinning effective, Boardbooster will release your pins at a rate you chose during hours you chose. Boardbooster will also repin your old content on a schedule so it has more of a chance of being seen. I have seen major results from boardbooster, It has helped me move from 200 followers to over 1000 in just a few months. I love this tool and it is easy to set up and starts with a free trial and as low as $5/mo. WD Instagram Feed- WordPress Plugin- Most bloggers are instagrammers and personally I think it’s really appealing to go to someone’s site and see a snippet of there instagram personality. It makes me feel good if both the site personality and the Instagram personality go hand in hand and complement each other. If someone’s social media represents the brand they portray on their website/blog and vica versa it makes me take the blogger more seriously. A cohesive brand. To show my instagram feed on my website I use the WD Instagram feed. I really like this Instagram plugin because it is super easy to install and use and it gives you a few different options of displaying your instagram feed on your website. The above is a collection that I, as a blogger swear by. I would love to hear about some other tools you all use! And if you are struggling as a new blogger, here’s why I urge you not to give up on your creative business!